It makes a lot of sense that you’d want to wash the food you eat before cooking it. When it comes to what you’re putting in your body, the cleaner the better, right? Well, it would certainly be nice if matters were so simple when it came to food contamination. But, in the case of some foods, washing them does virtually nothing. And, for some others, washing can do more harm than good. Both of these can be the case when it comes to eggs. Even with that knowledge, though, you still might feel inclined to give the eggs another quick wash—after all, that egg’s made its way from a farm to a carton that’s sat on a grocery shelf and in a shopping bag. But the USDA and nutritionists alike say that washing the eggs is not necessary—and can actually further bacteria. 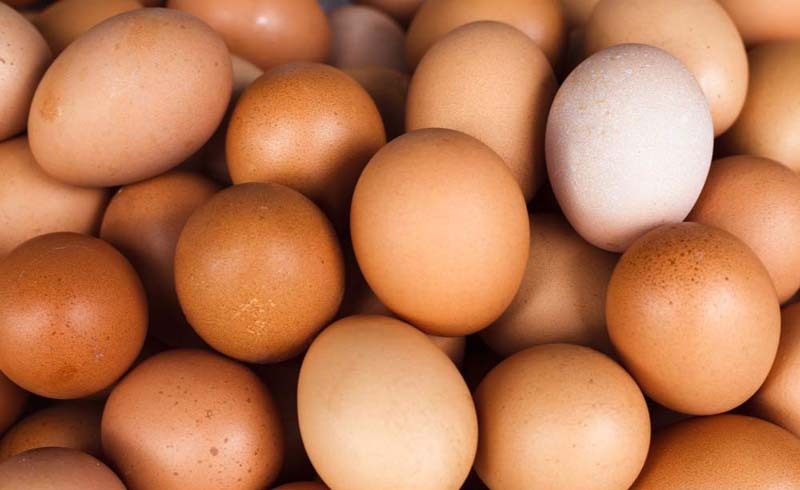 “If you wash an egg before you cook it, because its shell is porous, the water…can push bacteria into the egg,” warns Amy Leigh Mercree, holistic health expert and bestselling author of ten books including the upcoming The Mood Book. She says that this is especially true if you use cold water or running water. Mercree admits that, yes, there is the potential for bacteria to form on the surface of your egg, but by washing it, you make matters worse. “Because the shell is so porous, you’re pushing it back through the surface of the egg,” she says. And that poses a far bigger risk of contaminating the part of the egg that you’re actually going to eat. Mercree does admit that farm-fresh eggs—which have not undergone the rigorous commercial washing process—do have a greater potential to come into contact with dirt. Though she still recommends against washing them, she says that if you do wash them, make sure you’re using warm water and avoiding soap. 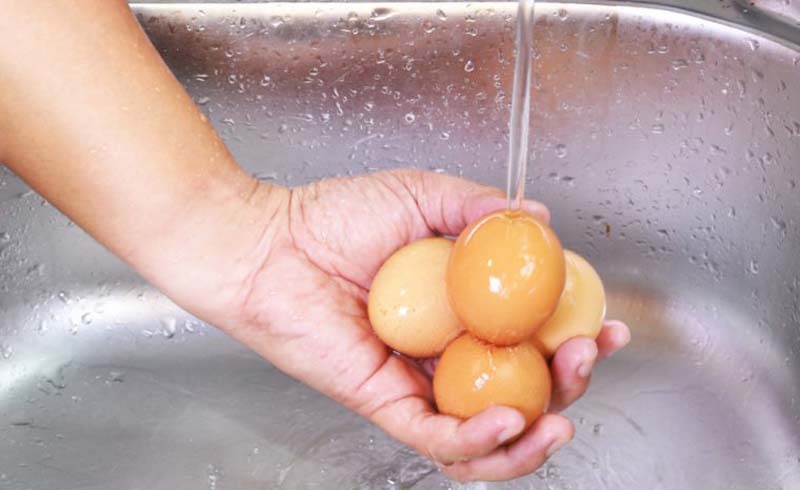 But, when it comes to commercially sold eggs, don’t wash them—save yourself some time and keep bacteria where it belongs.